Mark Kermode (BBC 5live Broadcaster), in his liner notes for the 3CD boxset. It’s an incredible 41 years since Liverpool band Yachts released their debut single “Suffice To Say” on Stiff Records. The band’s two albums (for Radar Records) have never been fully available on CD. Cherry Red Records have launched the life-boats and come to the rescue, and have just released 43 track 3CD Box set featuring the 2 albums “Yachts” and “Without Radar” plus a disc of previously unavailable non-LP singles, B-sides and compilation cuts; basically EVERYTHING the band ever released. Henry Priestman (main writer, Farfisa Organ player and joint lead vocalist of Yachts), returns for his annual Green Note show, but with a special twist: this time it’s a chance to celebrate this “not before time” Yachts release with a one-off belated “launch” gig, with the set featuring at least 5 or 6 Yachts songs. 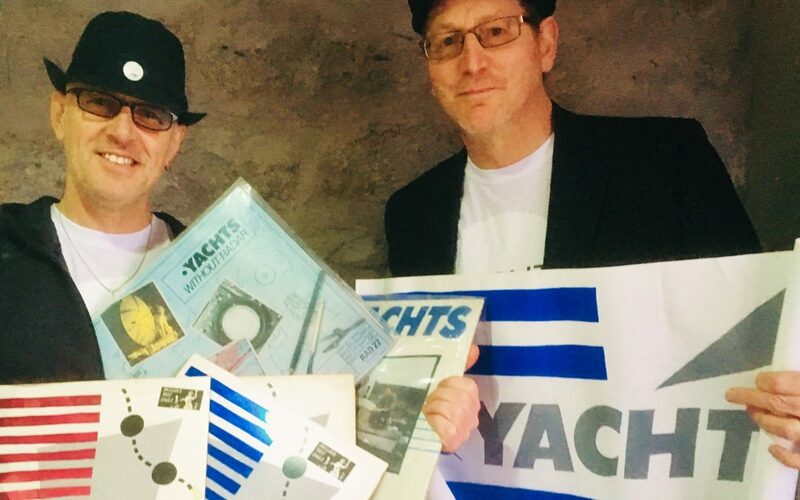 As well as the customary band line-up of Les Glover and Jo Bushell (and no doubt a host of guest musicians), we’re thrilled to announce that BBC5 Live/Guardian film buff Mark Kermode (a Yachts fanatic, who wrote liner notes for the boxset) will be joining Henry and Les on the old Yachts songs. Don’t miss out on this one-off opportunity to catch Henry playing songs from his 40 year back catalogue (including the recent duo CD with Les Glover), but surely the icing on the cake is to hear these Yachts songs from nearly 40 years ago, most of which have never been performed in public since the band split up in 1981. In 2009, Henry Priestman (who wrote all those hits for The Christians in the 80’s, and Yachts’ songs in the 70’s) reinvented himself as a singer-songwriter, and released his debut solo CD “The Chronicles of Modern Life” to critical acclaim and airplay, and singles from the album (including “Grey’s The New Blonde”) made it onto the Radio 2 playlist. 2014 saw the release of Henry’s 2nd album “The Last Mad Surge of Youth”on Proper Records, which garnered Henry the best reviews he’s had in 37 years of releasing records. (See below what they said about the album).